1. Hello there! And welcome to the Mind Meld! For those who may not yet be familiar with your work, can you tell us a bit about yourself and what it is you do? First and foremost thank you for having me. 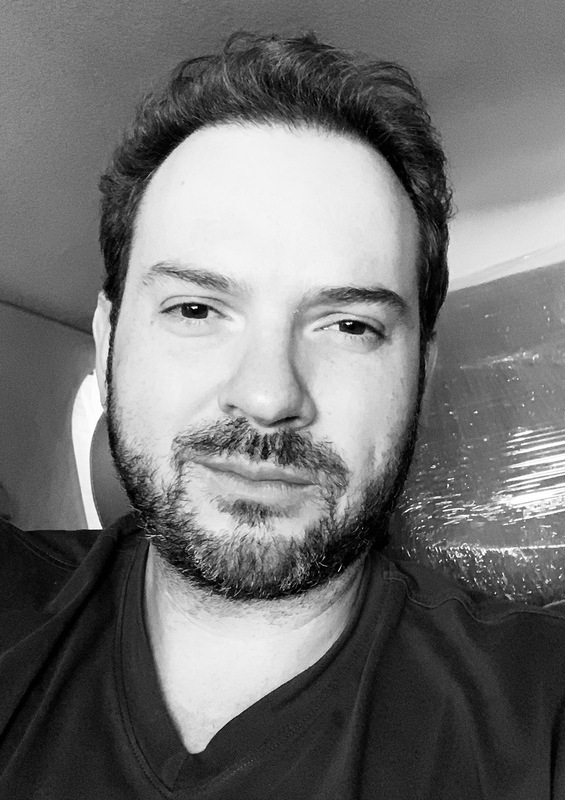 I’m Mark London, Mad Cave Studios’ CEO and Chief Creative Officer. I also write a few of our books. 2. 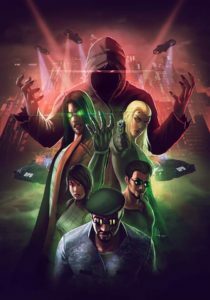 What got you into comics and later, writing your own? For me, it’s all about storytelling. You see, I grew up in the ’80s, a helluva time to be exposed to all sorts of media: Comics, video games, movies, animation, literature; all very different in their own way and great platforms for storytelling. I devoured everything I could get my hands on, but for me, comics have always been dear to me. There is something about sequential art that really connects, mesmerizes and fascinates me at the same time. 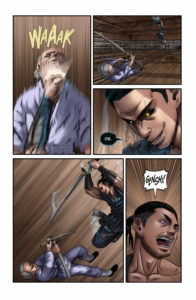 To some, they are just pictures divided into grids, into panels, into pages, but for me they’re so much more. So, I guess it was just a matter of time before I put my fascination with storytelling to good use and I chose comics as the medium. 3. Amongst titles such as Battlecats, Midnight Task Force, and Knights of the Golden Sun, is also soon going to be ‘Honor and Curse‘. What led to you wanting to do this title? All the titles you mentioned deal with themes that are very dear to my heart. These are the type of stories that I read, saw or interacted with when I was growing up and kinda wanted to write my own version, the mad cave way. 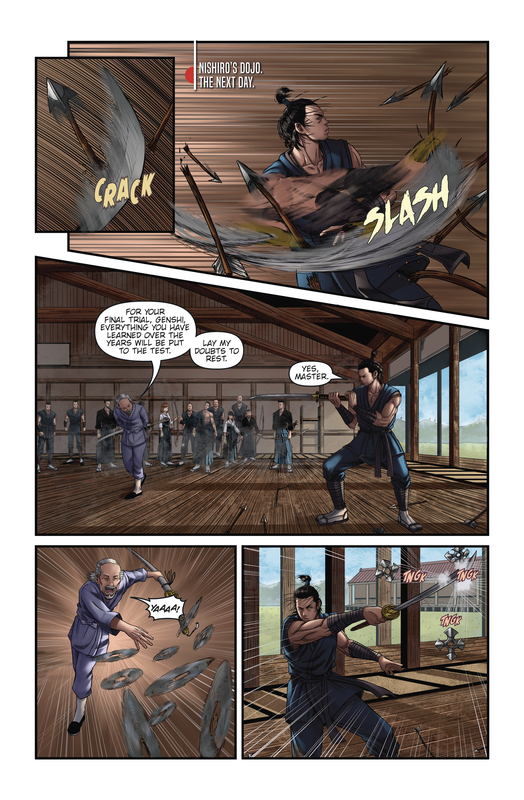 So after all the titles you just mentioned were developed, I knew it was time to create another story dealing with subjects that I feel passionate about; ninjas, feudal Japan, and the supernatural. 4. Is ‘Honor and Curse‘ a limited series only? Or will it be a long-spanning series? Same as Battlecats and Knights of the Golden Sun. 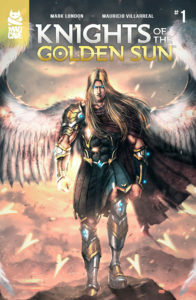 It’s a limited series but it will be broken down into three Volumes with 5-6 issues each. We have one more arc planned for Midnight Task Force with 5 issues and that will conclude the story. That’s the plan, at least for now. 5. What are you hoping fans will take from the story? I want all of our fans to walk away thinking they just purchased a quality book. I want them to have as much fun reading it as I had writing it. And finally, I want to move people. That’s the ultimate goal. 6. 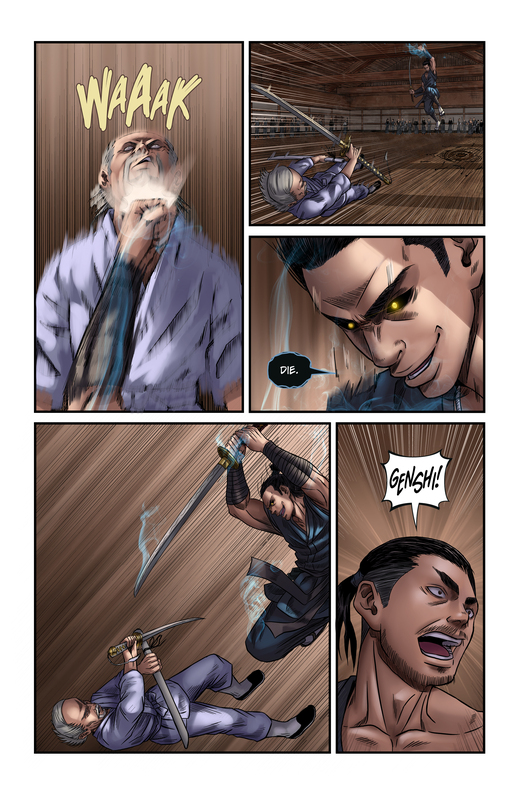 As you mentioned having a passion for things like Feudal Japan, Ninjas, and the Supernatural, would it be safe to say you’re going to be creating even more titles thanks to things you feel passionate about? There’s a lot of things that I’m passionate about and that’s what I really use when I’m creating the initial concepts of a story. As I have mentioned before in other interviews, I grew up in the ’80s and I think that was a wonderful time to be exposed to all new types of storytelling across different media. So aside from comic books and novels, video games and animation played a big part in what I love to write about. 7. Would it be possible for there to be a crossover featuring all Mad Cave characters? As I’m sure many a fan (including myself for that matter) would love a story like that. I’m not going to lie, I have played with the idea a million times over in my head, but there are some books that would seem ridiculous to crossover… I don’t know, I guess everything is possible and only time will tell. For now, we just want to focus on creating these worlds and characters with as much lore as possible. If a crossover does happen, it’s because it’s the logical progression or next step. There is one book though that I have always envisioned crossing over with another set of books that will be released soon. Maybe we will see those titles crossover in the next couple of years. Fingers crossed. 8. If any of your titles were to get the big screen or little screen treatment, which one would you hope to see get snagged first? And would you want to be involved in the process of bringing it to the screen? Right now, we are only focused on proving ourselves in the market by creating fun, action-packed comics across a variety of genres. This has become Mad Cave’s obsession since we joined Diamond. But I won’t lie, if something like this were to happen for us, it would be a dream come true. Having these properties transcend the medium would be surreal. 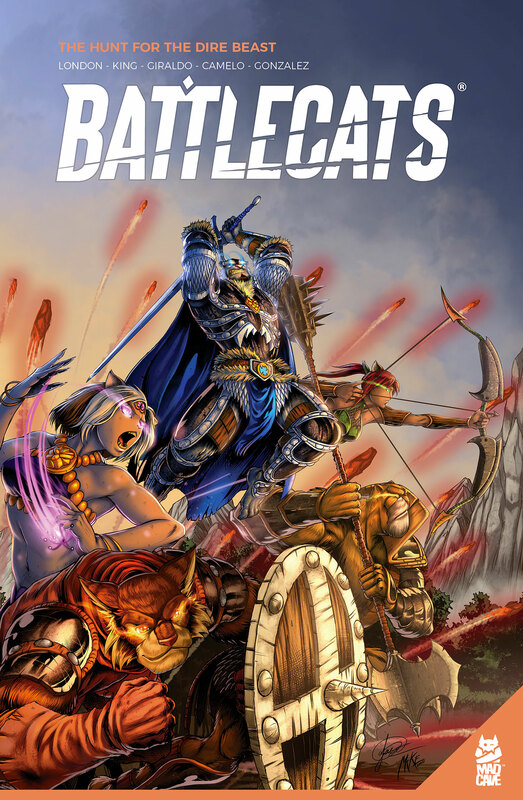 If I would have to pick one first, it would have to be Battlecats as a Saturday morning cartoon. 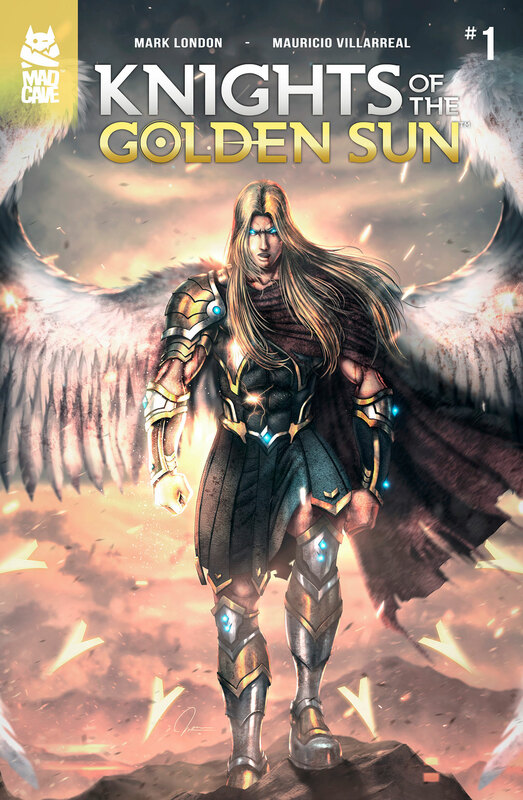 I also think Knights of the Golden Sun would work as an animated series on Netflix and Midnight Task Force would be perfect as a mature, live-action series on HBO. Hey, all of this is hypothetical and this poor creator can dream, right? 9. If I recall correctly, 2018 was a big year for Mad Cave Studios, mostly in part thanks to getting a deal going through Diamond where Distribution is concerned, what big thing do you hope to see next happen for Mad Cave in 2019? Yes, it was basically our launch year with three big titles; Battlecats, Midnight Task Force and Knights of the Golden Sun. This year we are going to step it up a notch and get our books into more comic book shops and also in other shops around the world. We are still learning how to walk properly, but we will definitely be running by the end of the year. Of that I’m sure. 10. Are you and the rest of the Mad Cave crew intending to release new titles in 2019 or choosing only to focus on what’s currently out? What’s currently out is the first phase of the company. All of those titles have been created and written by me. I would like to think that has been the natural process for us because we were starting a company and the writer is also the CEO. I mean, look at Valiant’s inception back in the ’90s, Jim Shooter was writing those books. The Image founders were all writing and drawing their own books, Joe Pruett did the same thing for Aftershock with one of their launch titles (B.E.K), Pizzolo at Black Mask… I could go on and on. So, since we are past that brutal first phase, I would like to believe 2019 is going to be huge for us and we are very excited for what comes. We released three titles in 2018 and you can expect that number to triple in 2019. With the successful talent search we launched last year, some very talented people have joined Mad Cave and they have been hard at work for a few months now. I can’t wait to show you our new titles but all I can say is that they have heart, they are full of passion, they are a blast! 11. How wild can we expect things to get in ‘Honor and Curse‘? Insane. 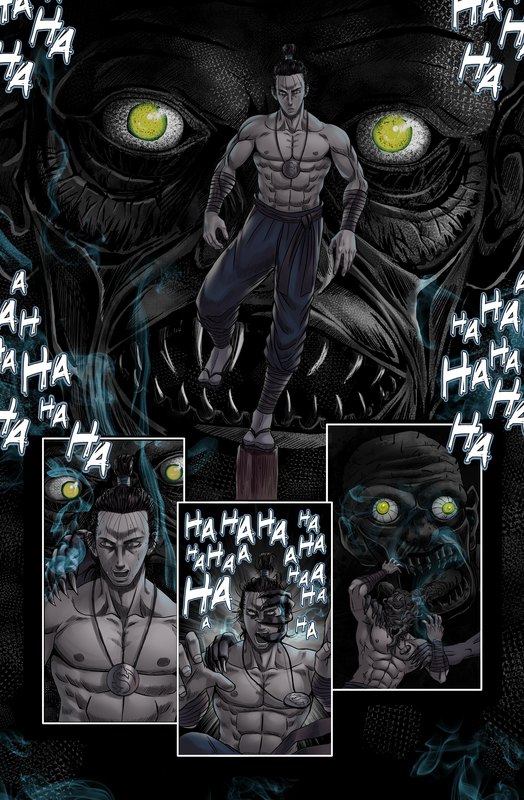 What our main character, Genshi Sakagura, is going to face as each issue progresses is not child’s play. We are bringing the proverbial house down on him. 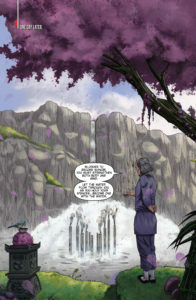 The first issue plays a crucial part in introducing the characters and their personalities. 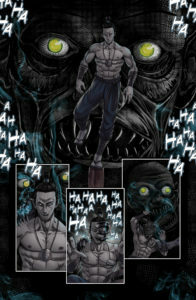 With issue two we see the stakes rise significantly and from there everything leads up to the brutal climax in issue six. 12. If you could go back and do things differently, would you? Making comics is all about trial and error, but mainly it’s about listening to people that know more than you. Sure, you may have a few good ideas here and there, but bringing them to life in a way that works requires a lot of hard work and the right people on your corner. 13. And as for my final question, for those wanting to get involved in comics making, or are just starting out, what advice would you have for them? Make sure that you love it. Read and pay attention to the whole industry, not just the comics. Learn the comic craft inside out and practice. Practice as much as you can. Write, show it to friends and family, accept the good, the bad, and the ugly. Then rinse and repeat. There is no middle ground with comics and the learning curve is very steep. Like my wife likes to keep reminding me: “This is not a sprint, it’s a marathon.” So keep pushing forward no matter what and never forget why you started making comics in the first place. 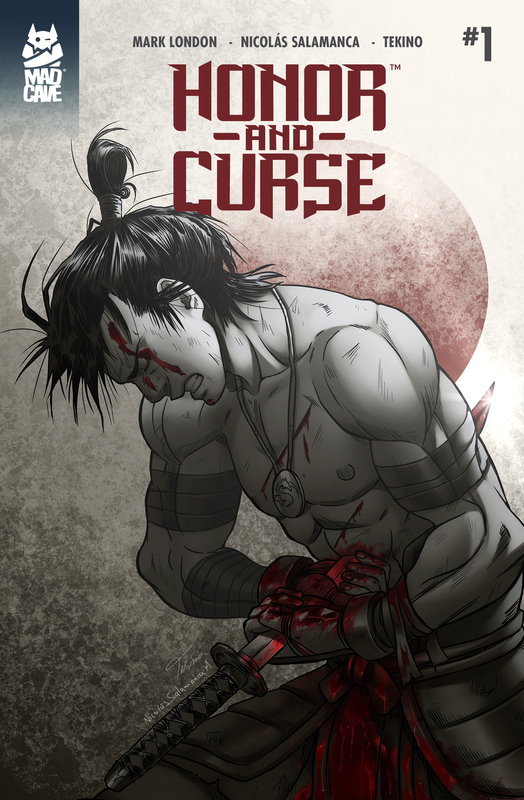 Editor’s Note: ‘Honor And Curse‘ #1 is out on February 20th, 2019 at your local comic shop! And many thanks to Mark for taking part in this interview! 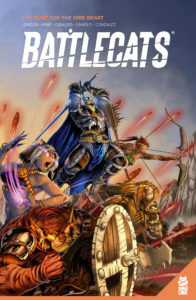 Tags: Aftershock, B.E.K, Battlecats, Black Mask, Diamond Distribution!, Feudal Japan, Genshi Sakagura is not going to have an easy time in Honor And Curse!, Honor And Curse, Honor and Curse will be a limited series!, Image Comics, Indies, Interviews, Knights Of The Golden Sun, Mad Cave Studios, Mark London, Mentions of Valiant and Jim Shooter, Midnight Task Force, Mind Meld With Mark London Of Mad Cave Studios!, Mind Melds, Ninjas, Passion, Potential for fun crossovers of Mad Cave titles! ?, Small Press Love, Some Saturday Morning Cartoon potential, The 80s were a heck of a time for media and growing up!